Our next reading group will be looking at Russia from 1850-1917. Anyone is welcome. 2 til 4PM Sunday August 25, Mad Mouse Alley, behind 129 Currie St (enter off Light Square). 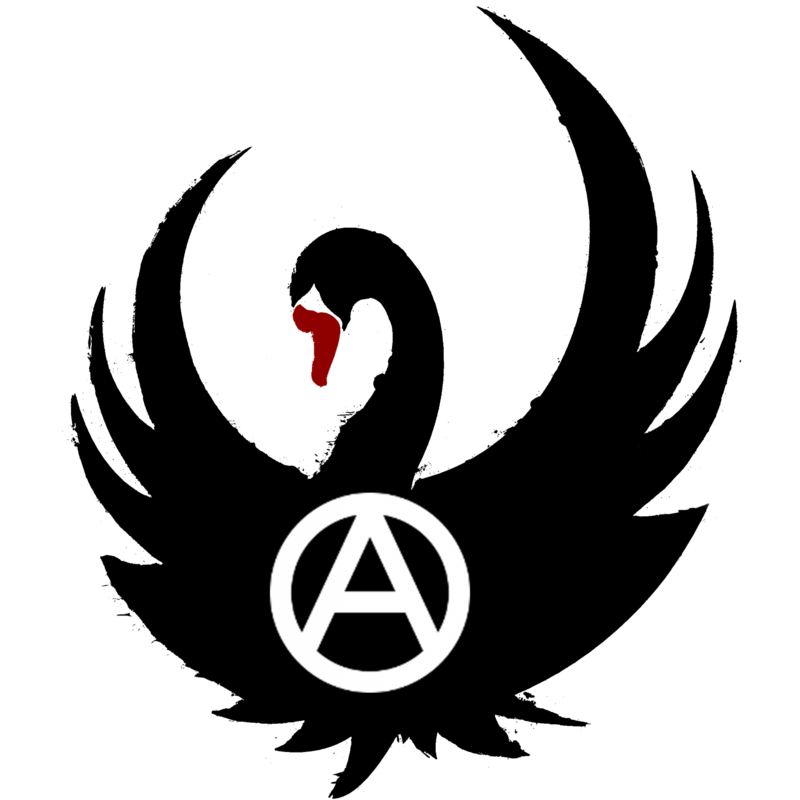 Our next reading group will be looking at an article by anarchist anthropologist David Graeber on anarchism and globalisation. Anyone is welcome. 2 til 4PM Sunday August 18, Mad Mouse Alley, behind 129 Currie St (enter off Light Square). ‘On August 3 we held yet ANOTHER spirited rally to show our support for refugees locked up in detention, and our opposition to the new racist policies of the two major parties! Yet again, the people who came voted to protest once more! On Friday August 9th, 5:00pm in Rundle Mall (Mall’s Balls). Abuse of refugees has become a bipartisan affair, and we’re coming out in protest once again to show both Rudd and Abbott that we’re NOT going to let them get away with this, and we’re not letting this slide in our name. Sunday: For our next reading group we will be studying the original IWW (Industrial Workers of the World), nicknamed the ‘Wobblies’. They are the most well-known syndicalist union (if not exactly anarcho-syndicalist) and the most interesting revolutionary organisation in Unites States history. The text we are reading is here. We will be reading the text out loud and discussing it on the day, so you do not need to read it beforehand. Anyone is welcome. 2 til 4PM Sunday, Mad Mouse Alley, behind 129 Currie St (enter off Light Square). Sunday night, What’s Up Doco are screening the movie The Coconut Revolution. ‘THE COCONUT REVOLUTION is a modern day tale of an indigenous people’s victory over western colonial powers. The Pacific island of Bougainville rose up armed with little more than stones and arrows against mining giants Rio Tinto. Tired of seeing their environment destroyed and their people mistreated, the people took control of the island. With the government cutting supplies to the island and surrounding them with a floating military blockade, the people once again took matters into their own hands , creating what has been refered to as the worlds first ‘eco-revolution! as of this week we will have a table set up for people to bring in excess fruit and vege, eggs, honey, anything they would like to add to the table and of course you can take things you need… hence the term food swap!! so , spread the word, bring some goods and leave with some more goods! ALL THIS AS WELL AS THE USUAL AMAZING HOT MEALS , TEA/COFFEE AND INTERESTING, INFORMATIVE AND PLEASANT TO LOOK AT FRIENDLY FOLKS! 6PM Sunday, Mad Mouse Alley, behind 129 Currie St (enter off Light Square). SATURDAY: Another protest at Rudd’s grotesque Papua New Guinea refugee plan. The previous rallies have been big and energetic. Keep fighting! 1PM Saturday, starting at Parliament House. SUNDAY: Our first reading group looked at the rise of capitalism. This time we’ll be studying the birth of anarchism! The text we are reading is here. It would help if you printed off a copy for yourself but we will be reading the text out loud and discussing it on the day, so you do not need to read it beforehand. Anyone is welcome. 2 til 4PM Sunday, Mad Mouse Alley, behind 129 Currie St (enter off Light Square). SATURDAY: A second protest at Rudd’s grotesque Papua New Guinea refugee plan. The rally and march on Sunday July 21 had 500 people and was the most energetic rally seen in Adelaide for years. Keep fighting! 1PM Saturday, starting at Parliament House. SUNDAY: First Black Swan reading group. We are starting from the beginning – the origins of capitalism. The text we are reading is here. It would help if you printed off a copy for yourself but we will be reading the text out loud and discussing it on the day so you do not need to read it beforehand. Anyone is welcome. 12-2PM Sunday, Mad Mouse Alley, behind 129 Currie St (enter off Light Square). It’s near election time so hatred of refugees needs to be stirred up by the pollies and used for electioneering. Kevin Rudd’s latest plan is for all asylum seekers who come here by boat (‘without a visa’) to be taken to Papua New Guinea (permanently, not just for processing). Regardless of the level of poverty in Papua New Guinea, and the cost of this program, what’s important to the ALP is that people can’t seek asylum in Australia. Protests are being held across Australia. Adelaide’s is 2PM Sunday July 21, Parliament House. Further reading – Against Nationalism. A few weeks ago Black Swan screened the documentary Street Politics 101, on the Quebec student strikes. ‘In the spring of 2012, a massive student strike in opposition to a tuition hike, rocked the streets of the Montréal for over six months. Protests and militant street actions became part of the daily and nightly reality of this Canadian metropolis. Several times during this tumultuous spring, the numbers in the streets would reach over one hundred thousand. Police routinely clubbed students and their allies, and arrested them by the hundreds. Some were even banned from entering the city. But every time the cops struck, the student movement got bigger and angrier. For those who missed it or want to re-watch it, it is available to download here at Submedia TV. The history of the Quebec student movement and combative unionism. Quebec student strike – important victory, however partial it may be. How can we emulate the Montreal students? StudentStrike is a website dedicated to the Quebec events with a detailed history to download. 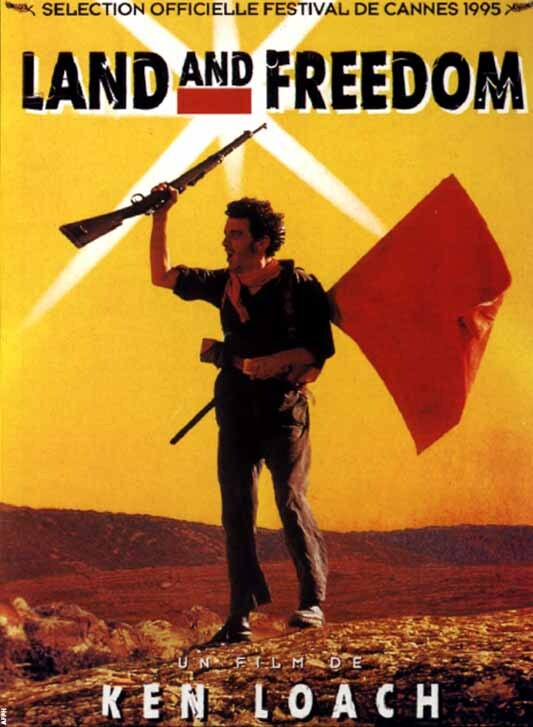 We will be screening Land and Freedom, Ken Loach’s film about the Spanish revolution and civil war of 1936-39. 2PM Sunday July 7. Mad Mouse Alley, behind 129 Currie St (enter off Light Square), Adelaide. Entry and lunch for $5 donation. Money raised will replace a comrade’s out-of-pocket money sent to aid anarchists in the Philippines. While the anti-fascist republicans, socialists and anarchists fought General Franco’s far-right, Catholic, and fascist-aided army, revolutionary workers and peasants organised in the anarchist-led union the CNT carried out the most radical social transformation seen in the 20th Century. The film is loosely based on Homage to Catalonia, George Orwell’s account of his experiences in Spain.